In Dec 11, I had recalculated my total debt which is totally from the mortgage loan of my flat to be $14K. The calculation is based on using the outstanding housing loan amount minus away my total family CPF OA amount. 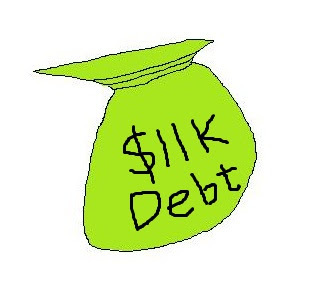 Today I have recalculated my total debt again, and it has reduced by another $3k. In my post on "What I hope to achieve in 20 years? ", I mentioned that I wanted to reduce my total debt to $0 within the next five years, Based on my conservative estimation, I think it is achievable before the end of this year. You are 4 years earlier in clearing your mortgage loan. Many people are still servicing their loans. Cheers for you!! Thank for your cheers :). your financial cash are very smart cash flow. The national debt (also known as public debt) is money owed by the federal government. As the government represents the people, government debt can be seen as an indirect debt of the taxpayers. The U.S. government incurs debt by issuing treasuries (bills, notes and bonds).